Find tutorials and other information you need to play. * A hacked PS3. If you don't have a hacked PS3, then you need to follow the OFW Guide instead (not yet released). You can check if your flash drive is formatted as FAT32 by right-clicking on it, and clicking on Properties. 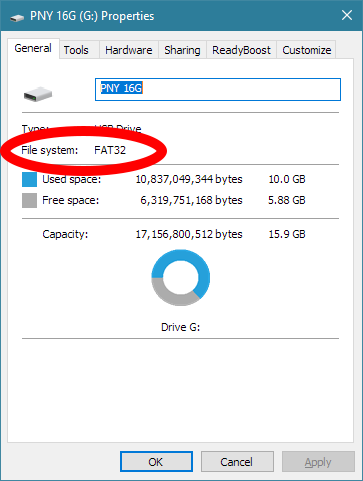 If your flashdrive isn't formatted as FAT32, then it will need to be formatted. Keep in mind that you will lose all data on your flash drive once you do this. Be sure to copy anything you need off of it. Be sure to double-check what you are formatting, otherwise you could risk losing data! 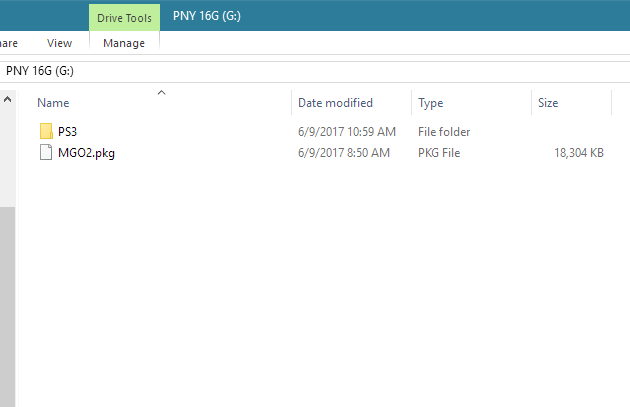 You can follow the guide here: http://www.partition-tool.com/resource/ ... ws-10.html. The Launcher requires that you be on FW 4.80 or higher, and have Cobra available. For simplicity's sake, we suggest that you install Rebug 4.81 from here: http://rebug.me/official-rebug-4-81-2-c ... 10th-2017/. b. Open or extract the folder to get the link to the actual firmware. Copy the link from the text file, and paste it into your browser to download the actual firmaware. 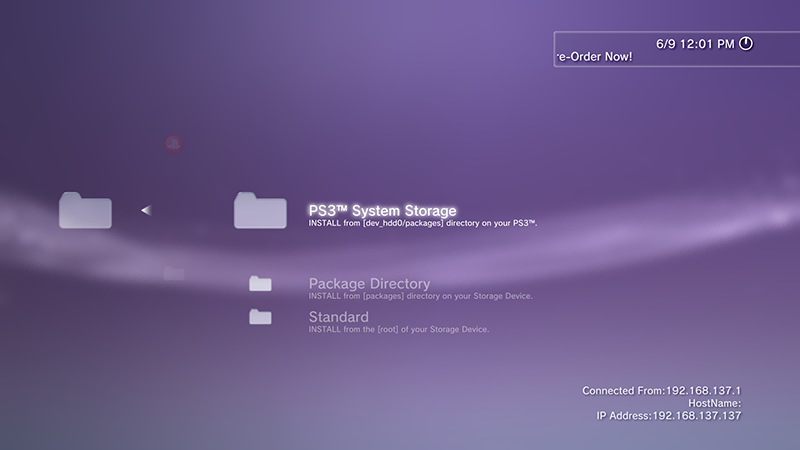 c. On your flashdrive, create a folder named PS3. Inside that, a folder named UPDATE. d. Copy the firmware PUP to the UPDATE folder. Try to rename it to PS3UPDAT. 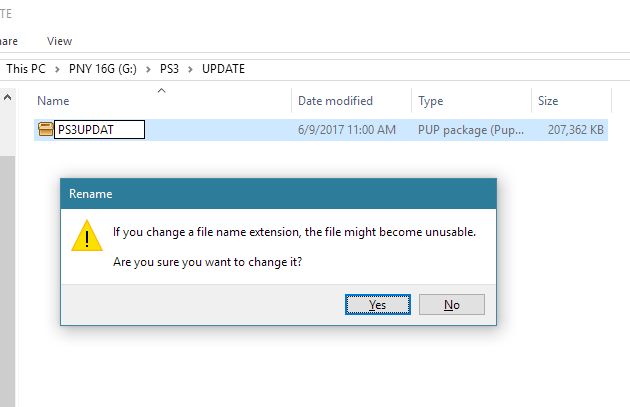 If you get a warning about changing the file extension, then click on No. If you did not get a warning, then skip to the next step. 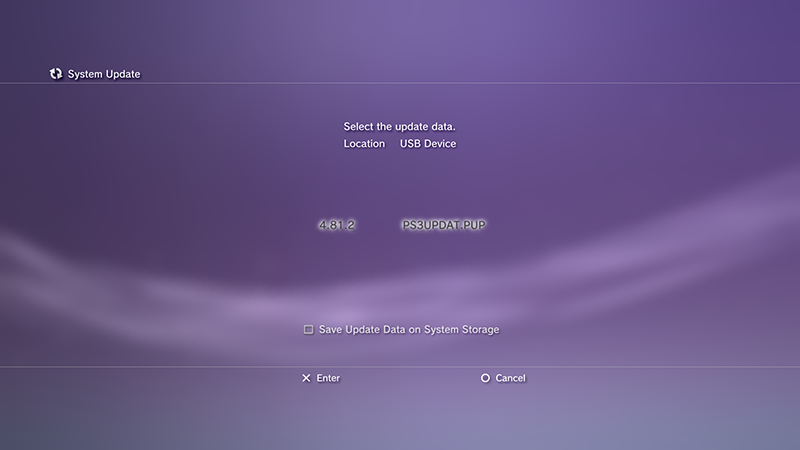 Now try to rename it to PS3UPDAT.PUP. 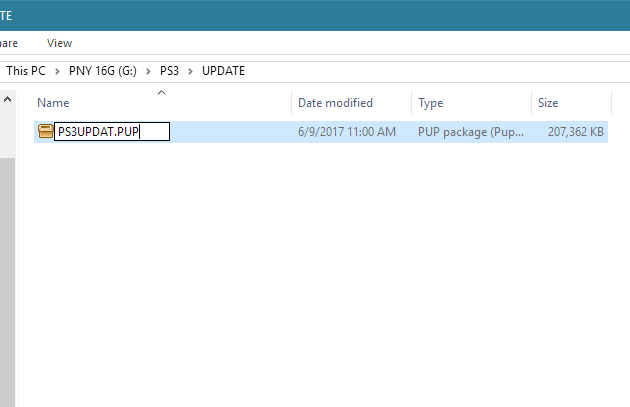 The Type of the file should say something like "PUP File", and not just "File". e. Remove your flashdrive from your computer, and plug it in to your PS3. f. WARNING: Be careful with System Updates! If you install an update from the Internet or an official update from your flashdrive, you will need to hack your PS3 again! 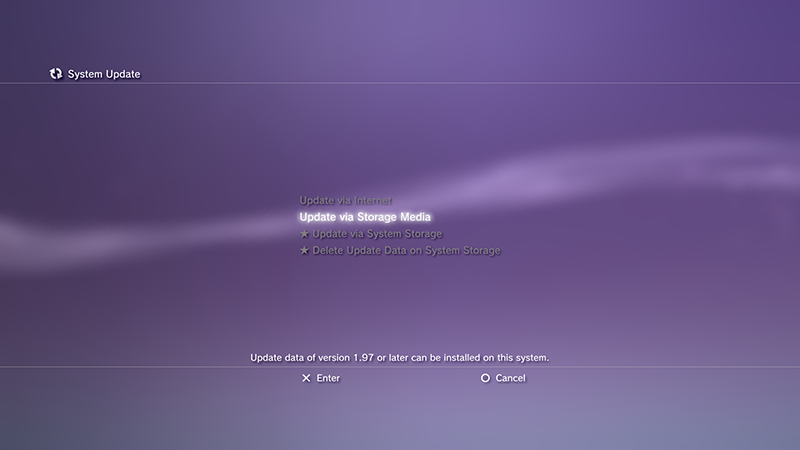 Go to the Settings column in the XMB, then to System Update. Select Update via Storage Media. If you did everything correctly, the update data should show up. Select it to start the update. 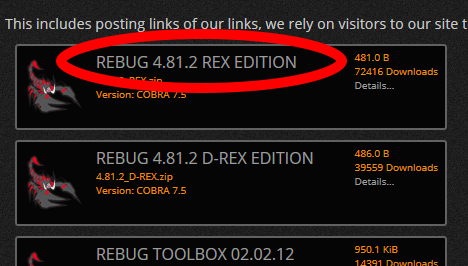 If the update text is grayed out, then download Rebug 4.81 D-REX instead, and follow the steps again. 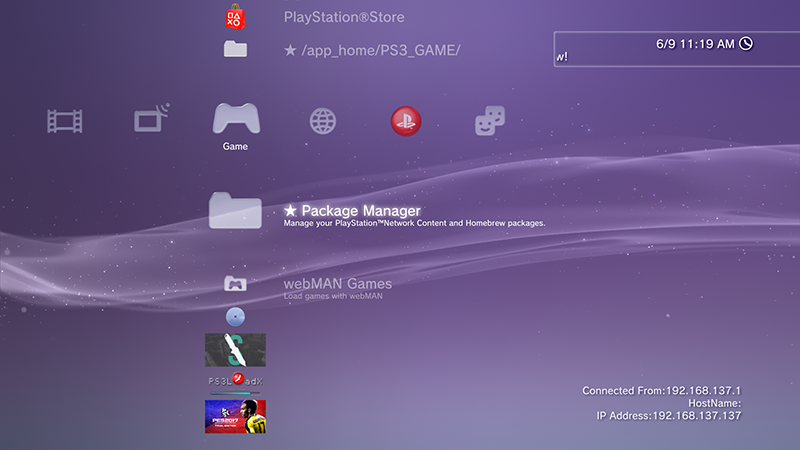 e. After updating, go to the Game column in the XMB, go to Package Manager. Go to Install Package Files. 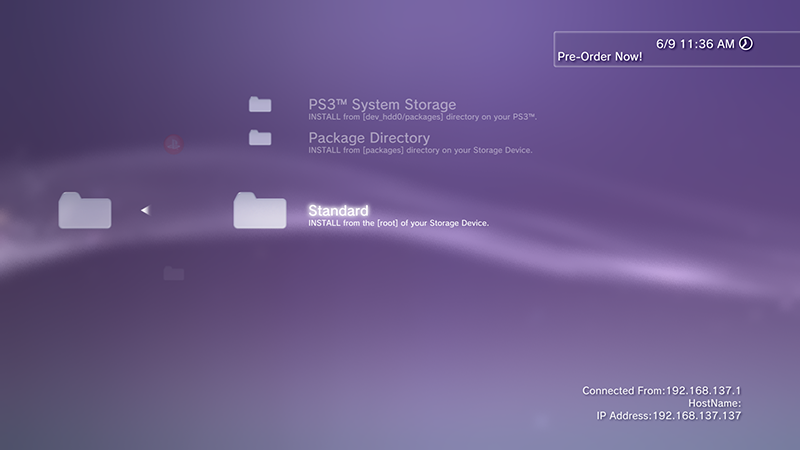 Go to PS3 System Storage. The first file should be a Rebug Toolbox PKG. Press X to install it. 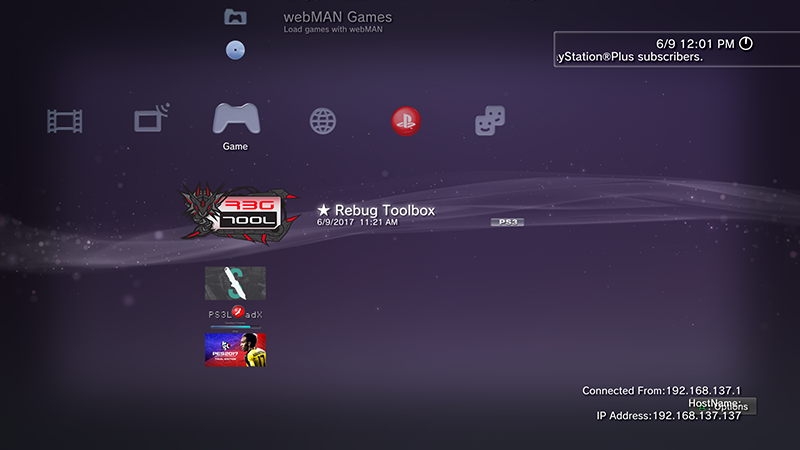 f. Go to the Game column in the XMB, and start Rebug Toolbox. Go to the Selector column, and set Toggle Cobra Mode to Enabled. 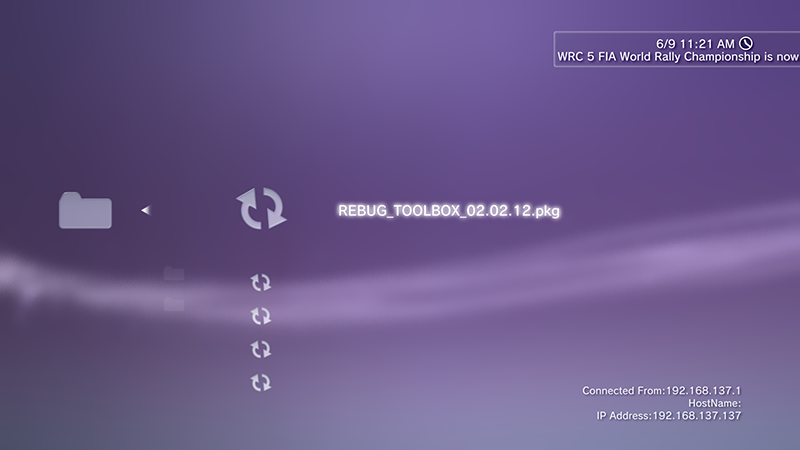 Quit Rebug Toolbox. Your PS3 should restart. 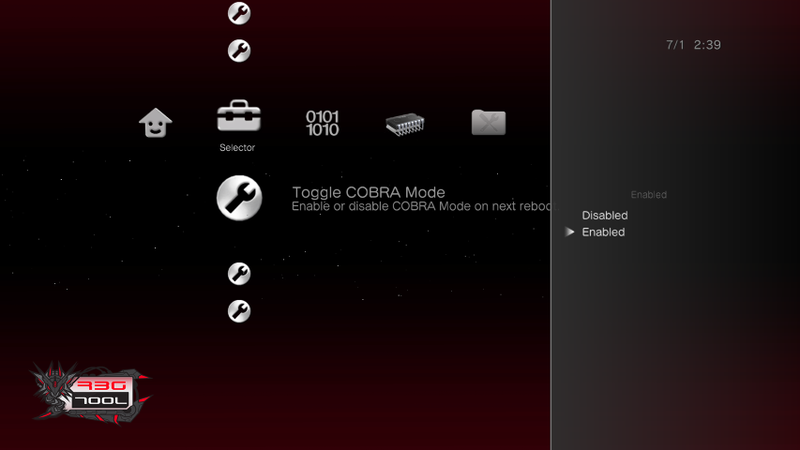 To verify that Cobra is enabled, go back in to Rebug Toolbox, and be sure that Toggle Cobra Mode is still set to Enabled. If you have previously used the 1.34 launcher, then you will need to clean up a few things. 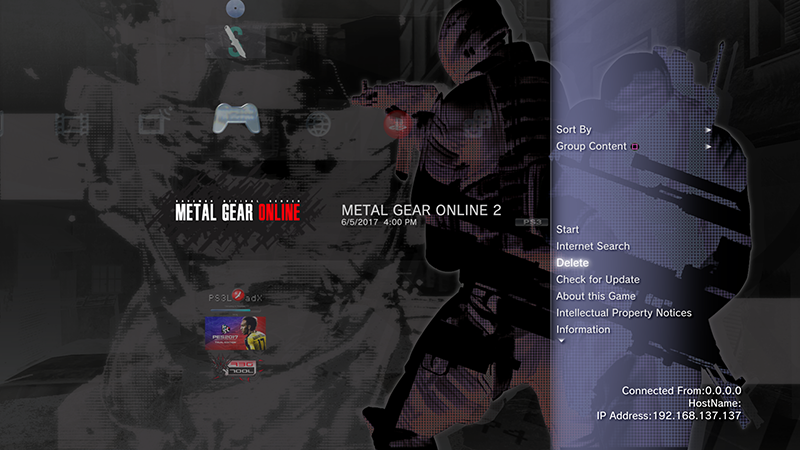 a. Delete the old MGO2 Launcher from the XMB. Go to the Game column in the XMB, hover over the launcher, press Triangle, and Delete it. b. Delete the old MGO2 Game Data from the XMB. c. Set your DNS back to Automatic, or what it was normally if you set a manual IP address. 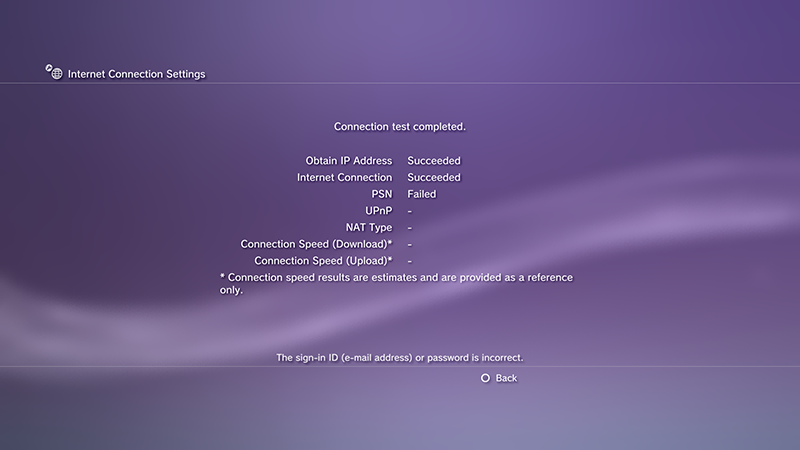 Go to the Settings column in the XMB, go to Network Settings, then Internet Connection Settings. Go through the setup as normal. 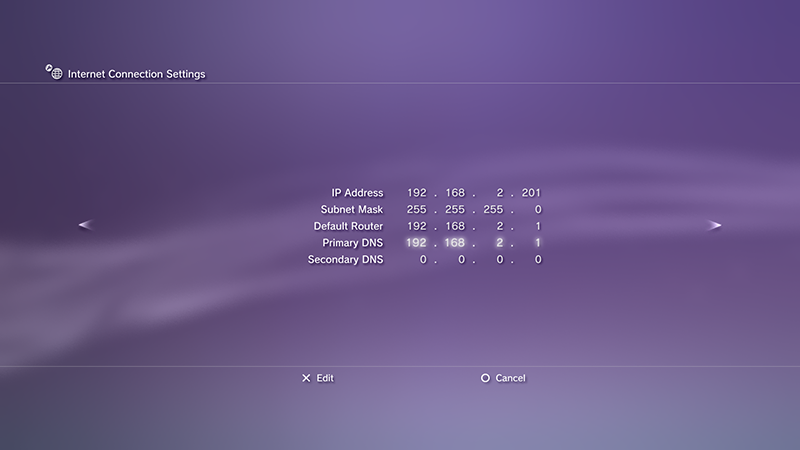 If you have your IP address set to Automatic: on the DNS Setting screen, set it to Automatic. If you have your IP address set to Manual: set your DNS to what it should be normally. Usually, this is the same as your Default Router. Test your connection to make sure your settings are good. "Obtain IP Address" and "Internet Connection" should succeed. 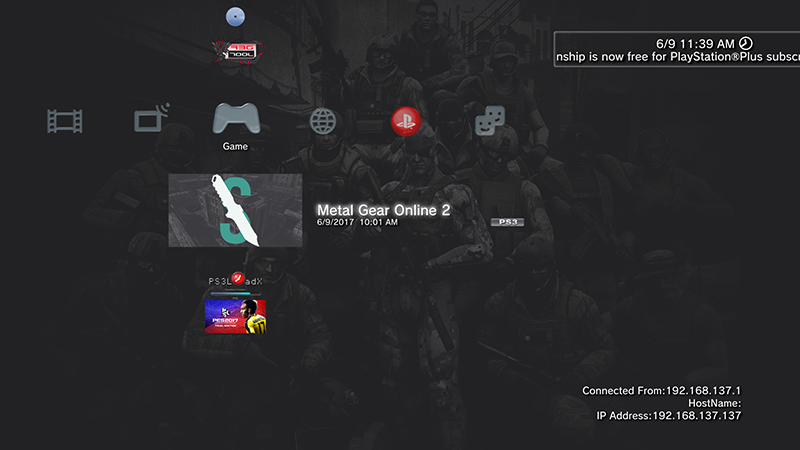 Download MGO2.pkg and MGO2 Patch 1.36.pkg. Install them on your PS3. If your game has issues disc-related issues or your disc drive is broken, then download and install MGO2 Disc.pkg as well. 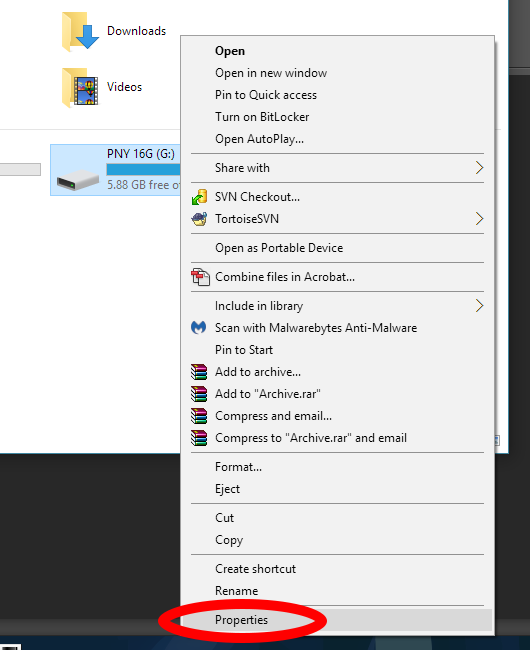 a. Plug your flashdrive back in to your computer, and copy the packages to the root of your flashdrive. You should not need to rename it. b. Remove your flashdrive from your computer, and plug it back into your PS3. Go back to Package Manager, Install Package Files, and select Standard. c. Start up the launcher and follow the instructions. Note: If you're failing the version check, then make sure your PS3's Date and Time is set correctly. d. If you aren't using MGO2 Disc.pkg, then make sure to have your disc in the drive. The first two files are really big, so it might look like it's stuck copying. Just be patient. e. The launcher will copy the files from your disc, and launch 1.00 so it can install it's data. Once the 1.00 data is installed, the game will quit to the XMB. If the game data is stuck at 0%, then there is too much running on the PS3. If you have Cobra plugins enabled, then either disable them, or uninstall them. If you have other apps like CCAPI, then uninstall that too. You can reinstall them after 1.00 gets installed. f. Start the launcher again. It will be good to go, as long as everything was installed correctly. Once prompted, log in to your SaveMGO account. If you don't have one already, create one. If you start the game up and it tells you that the "Game Data is Corrupted", it can usually be fixed without much effort. Quit the Game, start up the launcher, and once you get to the Save Data Notice screen (with Continue X in the bottom-right), then Quit the Game. Start the launcher back up and run everything normally. The error should go away. If you still have the error, then try to go in to Recovery Mode on your PS3. Be careful! Choose Restore File System, and see if that fixes your issues. If you still have the error, or other weird issues like no sound or missing gear on Character Select, then go to Game Data Utility, and delete the "MGS4 Game Data". This may be different depending on the disc you used. Try to reinstall the 1.00 data. If that doesn't work, then delete "MGO2 Launcher Disc Data", and use MGO2 Disc.pkg. * Delete the launcher from the XMB's Game column (don't delete anything in Game Data Utility). * Install the new package. Can we connect us Monday without ps3 jailbreak? There's been a launcher update to play again.